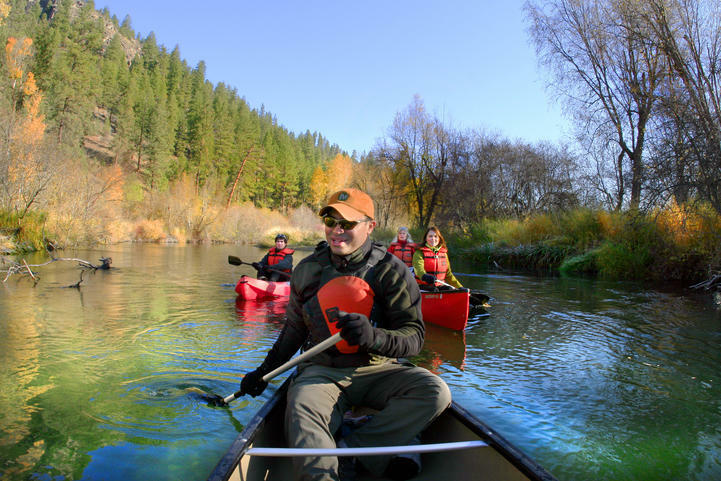 Don’t be fooled by the name—the Little Spokane River is a 35-mile long hidden treasure. A popular fly-fishing destination, the Little Spokane contains native rainbow trout, introduced brown trout, suckerfish, brook trout and mountain whitefish. If you’re not an angler, the Little Spokane runs through Riverside State Park and offers miles of hiking trails. Try the loop beginning at Painted Rocks in the Little Spokane Natural Area where you can find views of Long Lake and the Spokane River.